No images or report available, but a good fleet of 32 As participated this weekend in the Victoria States championships. 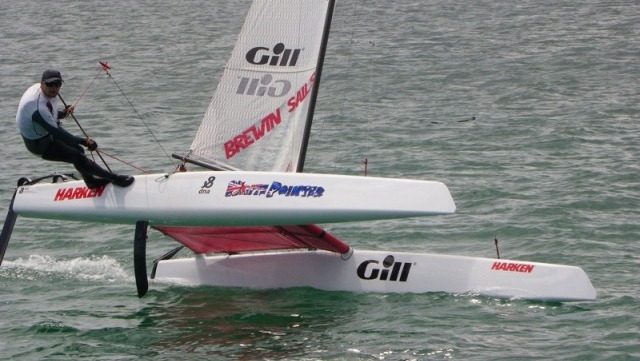 Steve will be switching boats this year to the brand new and debuting D3 A-Cat hopefully at Barcelona Europeans. I think also is Jason Waterhouse debut in the A Class, he sailed Dario Valenza's Paradox. Darío told me they are doing a methodical approach and step by step tuning of the platform. Jason has been racing successfully in the H16, F16 and F18 and lately in the RBYAC as AC45 helm, so it is more than welcome participation, specially for the Aussie future A-Cat scene.